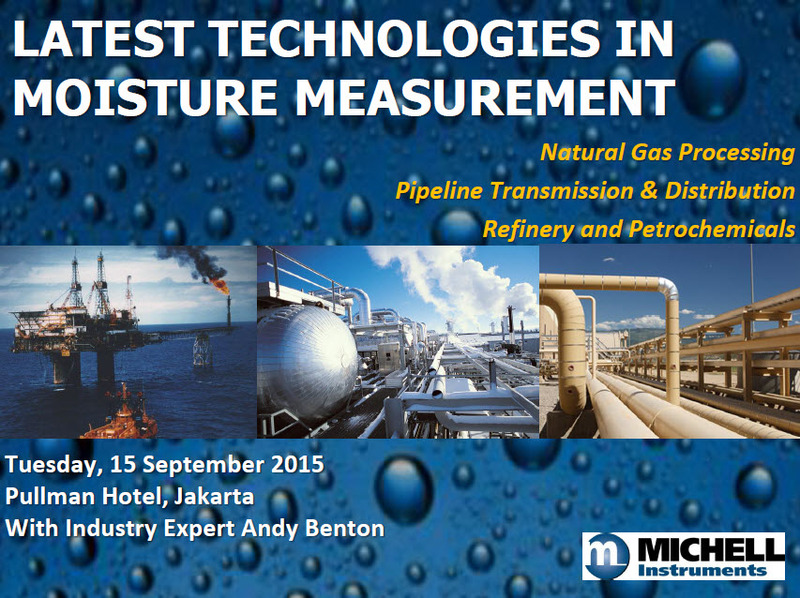 Katalist is proud to conduct a seminar event on Tuesday, 15 September 2015 at Pullman Hotel on the topic of Latest Technologies in Moisture Measurement. This event is a joint effort between PT. Katalist and Michell Instruments – the worldwide leader in Moisture, Dew Point & Hydrocarbon Dew Point Measurement. The one-day event will be divided into two halves: first half focusing on natural gas processing and distribution/transmission and the second half focusing on Petrochemicals and Refinery Applications.